It’s a reminder of why I’m here. 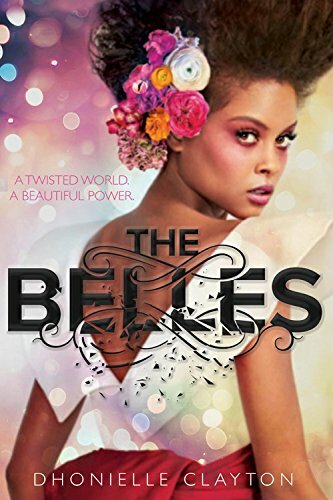 The Belles is set in the fictional world of Orléans, where a group of women, the titular Belles, have the power to make the dull and dreary inhabitants of Orléans more or less beautiful. Their innate powers are developed through intense training and curtailed by rules and traditions. Over the course of the novel, the central Camellia Beauregard, a member of the Belles, faces decisions that call into question her training, the Belle traditions and threaten the very fabric of Orléans society. The Belles is written by Dhonielle Clayton, a New York City based writer and literary activist. Dhonielle has a long history with books, from spending hours under her grandmother’s table with a stack of books to working as a middle school librarian. A former teacher, in addition to being a writer she is currently COO of We Need Diverse Books and founder of Cake Literary, a literary development company specialising in diverse books for teen, YA and women. readers. She tweets as @brownbookworm. The Belles is a novel that explores the human obsession with beauty. In Orléans, just as in our world, beauty is fleeting, commoditised and not always what it seems to be. Dhonielle draws on real-world examples such as the court of Marie Antoinette and the customs and rituals of the Japanese geisha to explore how beauty practices become embedded in society as well as the effect they have, in particular, on the social status of women. The Belles was released earlier this week, Tuesday 6th February 2018. The Belles is available online and in all good bookshops.